New Year, New Resolutions, New Hairstyle, and a brand new me! here's to a more courageous year ahead! 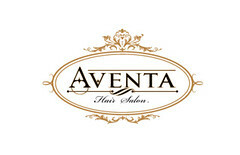 I'm so blessed to have Aventa as my hair sponsor! And with that, I'm gonna be more adventurous in terms of experimenting with my hair! After all, I'm at the stage of life whereby I am allowed to freely experiment without having to conform to working world standards. No work, No school. 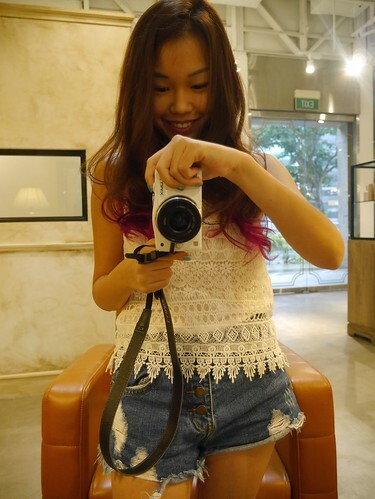 Not like I really care about how people would judge my hair (used to wearing a flower anyways haha so long I like it that's all matters), but well I personally wouldn't be as daring to try new hairstyles and unique hair colours as I grow older. 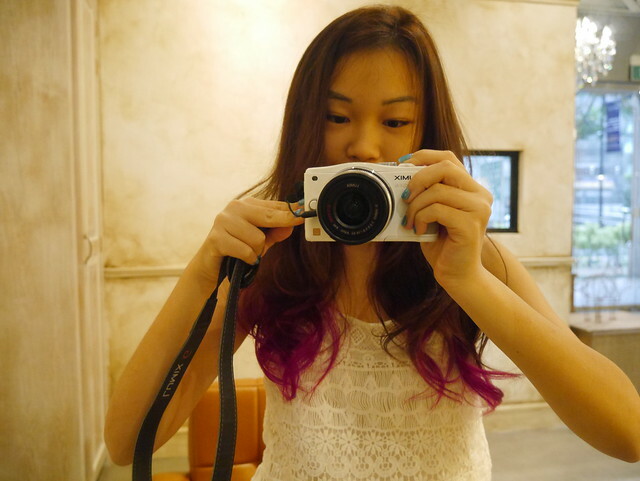 So today I did the most adventurous thing I've ever done to my hair! 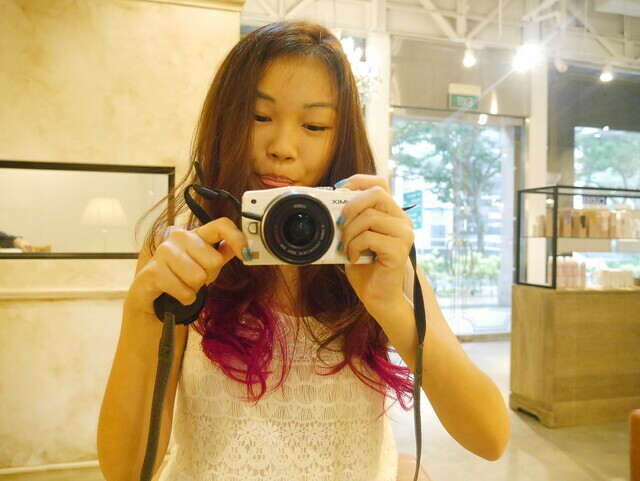 I ombre dyed my hair!!! 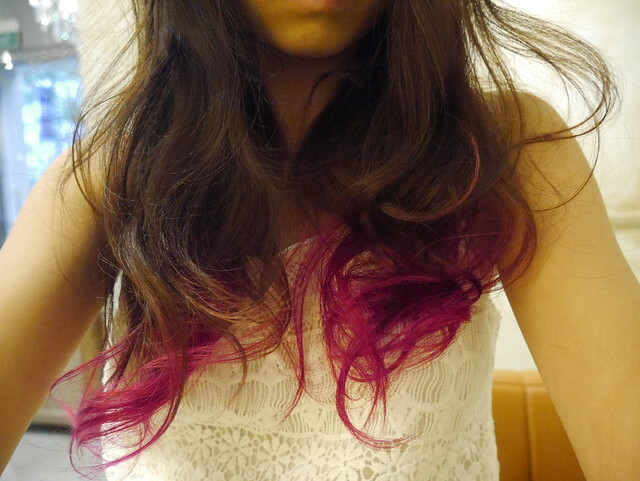 actually this colour would have been nice as well, don't you think so? Not just brown but PINK! Initially I wanted to just do highlights, or rather hidden underneath highlights so that I wouldn't look too over the top. 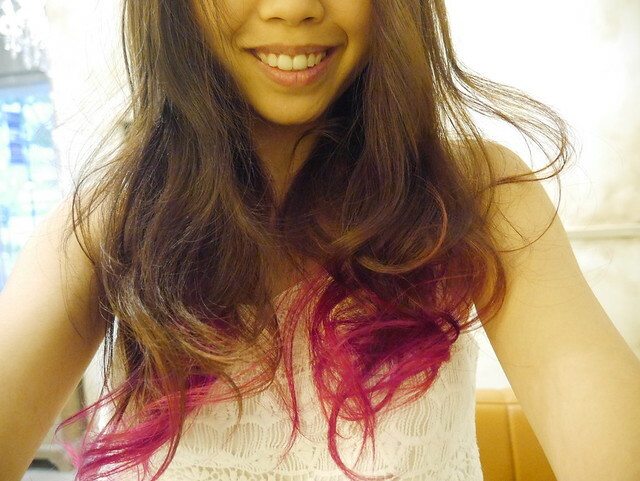 But I thought to myself, if I'm gonna dye, why not just go for a more obvious change/hair makeover so to say. 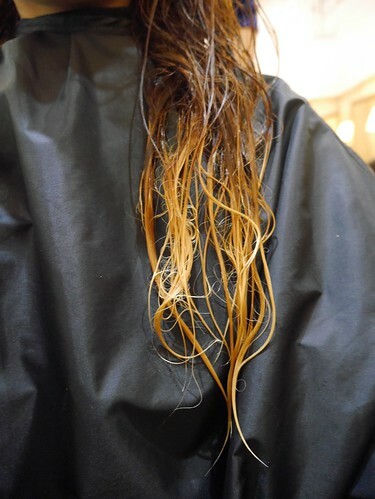 Okay I admit I wouldn't want to dye the entire head (sorry, that is just too much for me and I cannot take the attention gosh!) 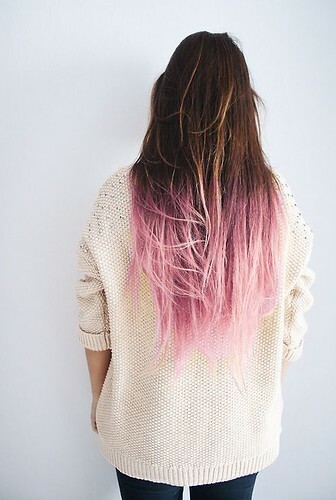 but yeah why not just dye the entire end. What's the point of hidden highlights when I'm gonna dye it anyways, haha. Right! 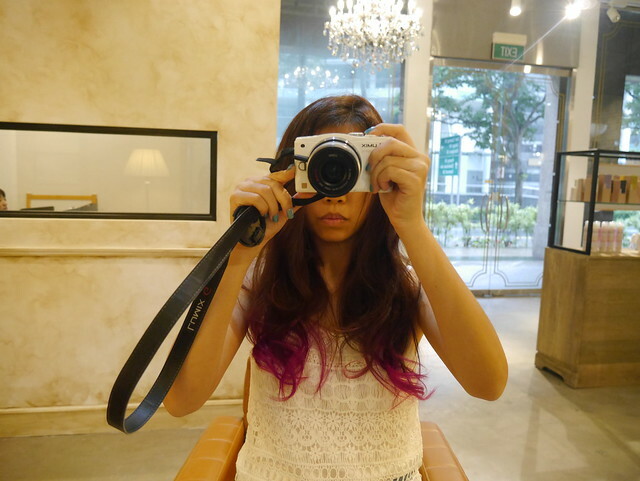 Honestly even while walking to the salon, I still couldn't decide what to do or what colour to dye. 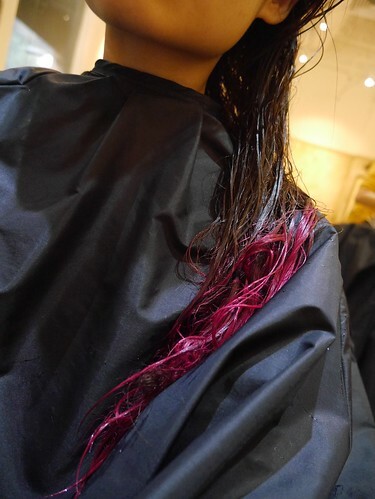 It was the definitely gonna be PINK, my all-time favourite colour. heh. But baby pink or hot pink, that's the question! 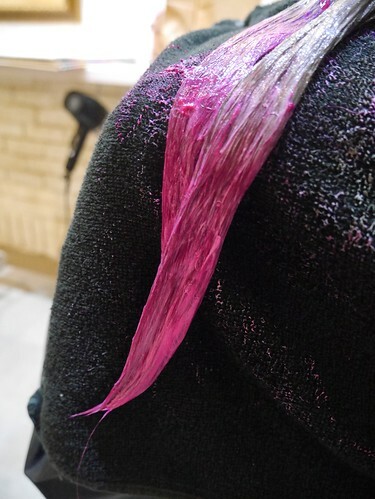 It was only after discussing with my trusted stylist, Chiho, that we decided on hot pink ombre dye! Doesn't damage the hair as much. And speaking of that, let me share what I'm so impressed with! 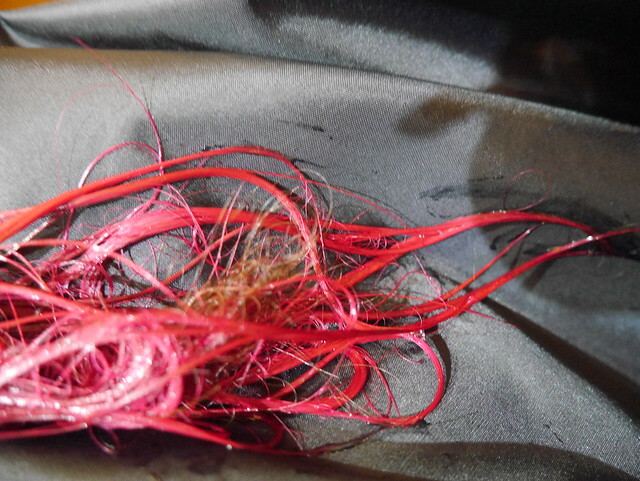 Normally when I dye my hair, the scalp feels super itchy and I'll be so tempted to scratch it even with the dye on. However, this time round, I'm so amazed, I did not even feel a bit of itchiness. 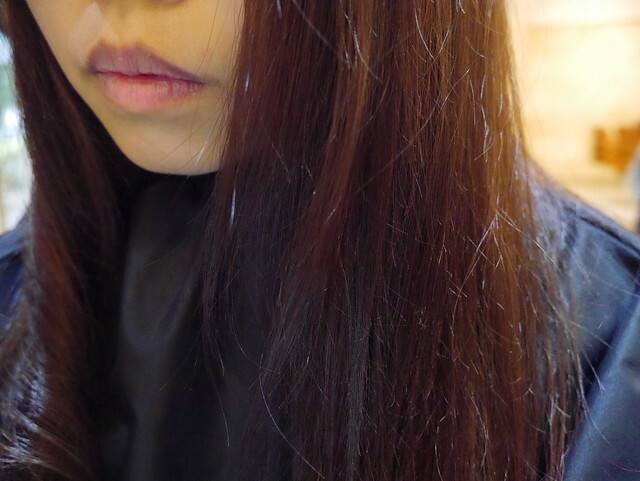 In fact, I didn't even realise the top of my hair (the brown part) has been dyed already until the wash and blow part. 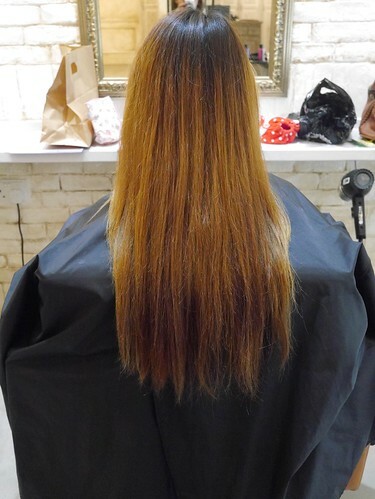 I'm certain that Aventa's hair services and treatments would do my hair justice! 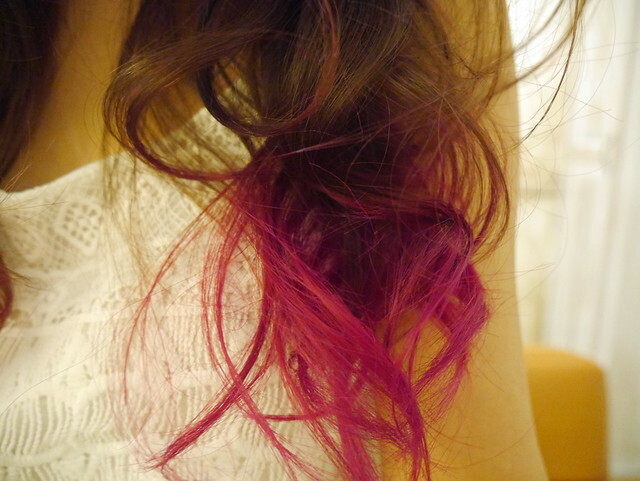 Here's to a darker shade of brown hair and hot pink ends. 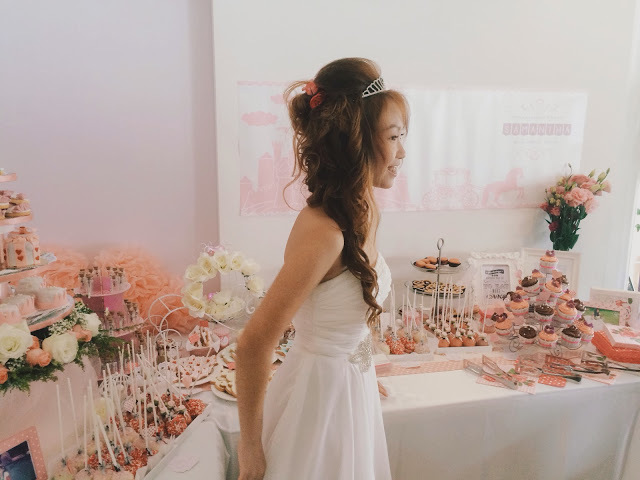 I feel like a unicorn, just kidding! No regrets, I'm super duper happy with the outcome!!! 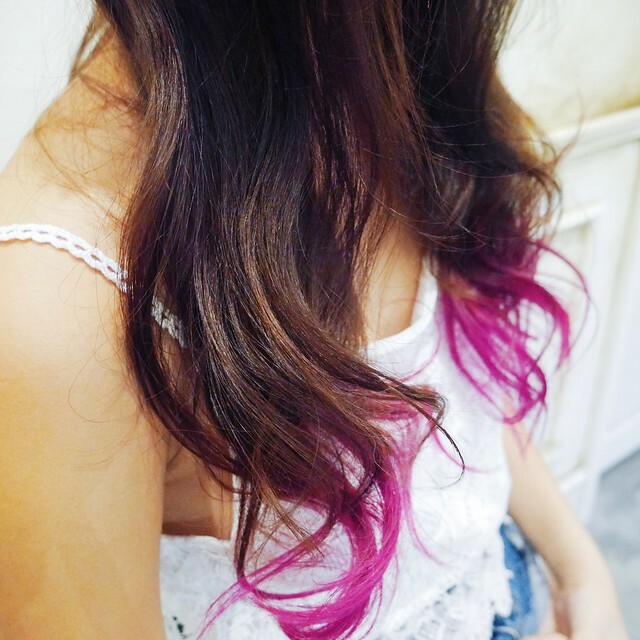 But yeah, I've always wanted to try it ever since around few years back when the ombre hair dye trend started. 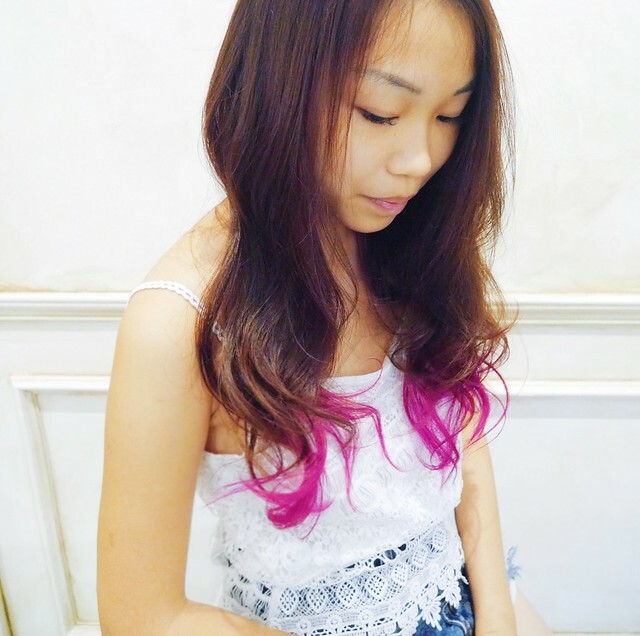 Being in Poly during that time made it even more tempting to jump onto the hair dye bandwagon because so many girls I see around school started having ombre hair, especially the TP design school kids. Fantastic baby! I must say, some were pretty nice but some nahhh. Even so, I was still very keen on trying it out, but oh sam oh, I never had the courage to do it. 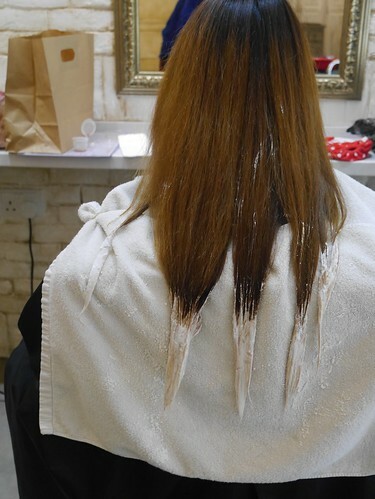 So when I wanted to do it last year, many salons discouraged me from doing it because my hair is too dry and bleaching it would damage it further. Yes yes I know. But whatever, it's now or never. 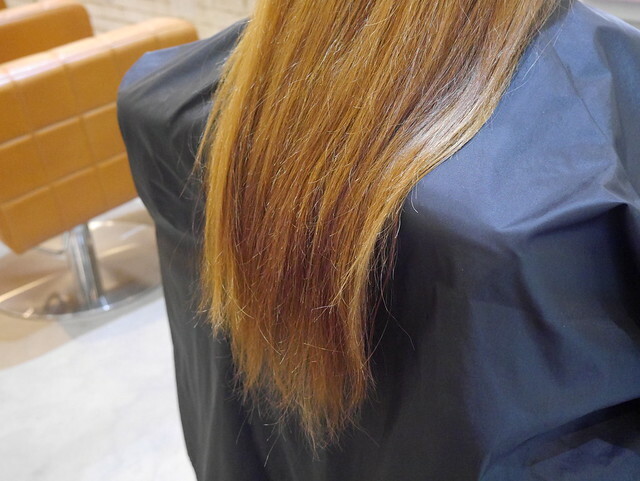 I thought to myself, even if I don't like it, I can always chop off the ends right. I made my mind to do it today & yay, finally bucket list item ticked! All photos are unedited and unfiltered! Now with every trip I make to Aventa, I'll exit happily with a new hair look! 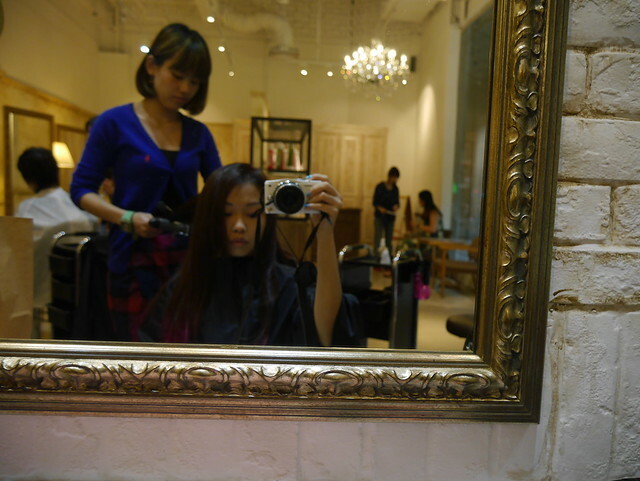 I'm no longer going to be afraid of hair salons anymore! 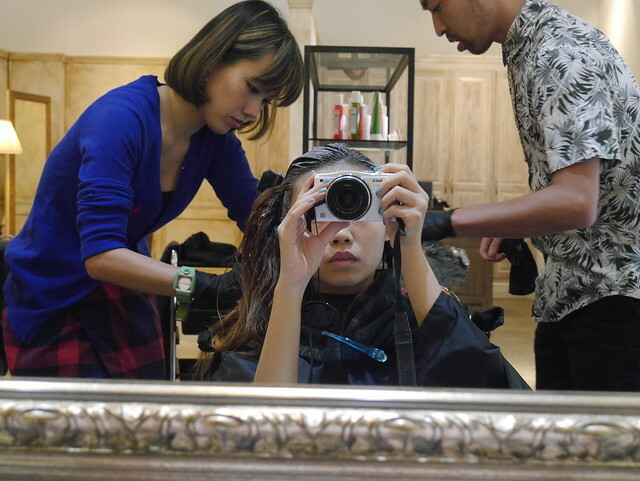 Since young, I used to hate going salons because I have the fear that the stylist would either cut my hair too short or somehow just screw it up. With Aventa, I know that my hair is secured and in good hands. 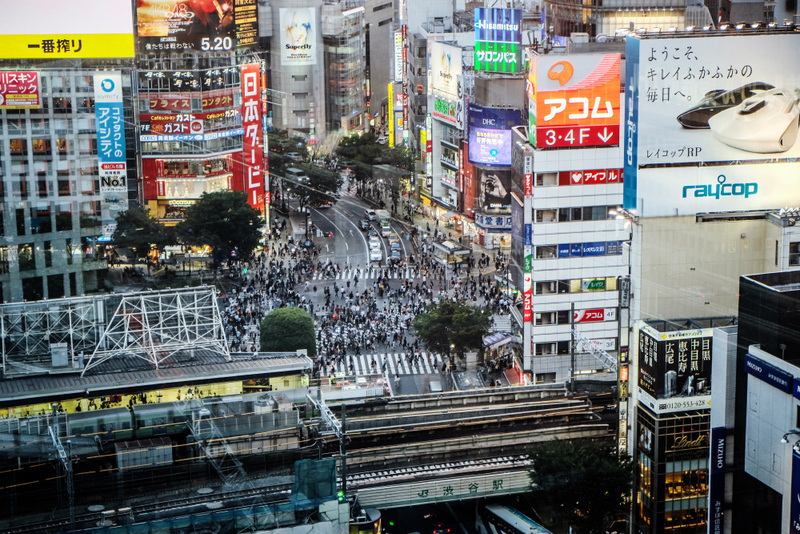 Even though at times, we are unable to communicate properly with them in terms of certain degree of language barriers, however they are very patient and thankfully, able to catch the gist of what I want eventually. 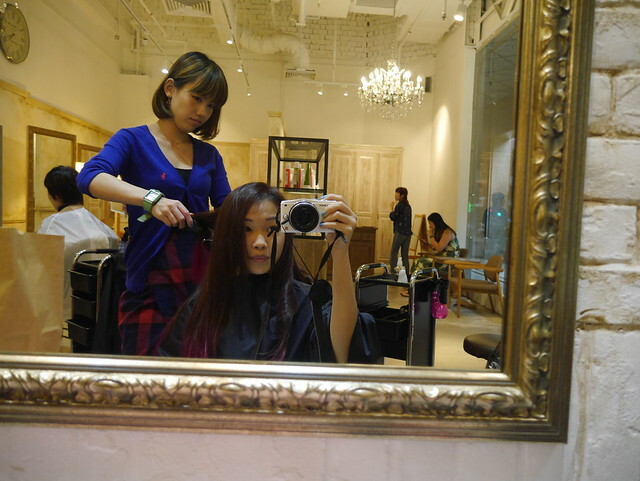 The end product is very important, and I'm just so glad to entrust my hair needs and (wants) to them! I'll be back probably next month depending on how this hairstyle goes. 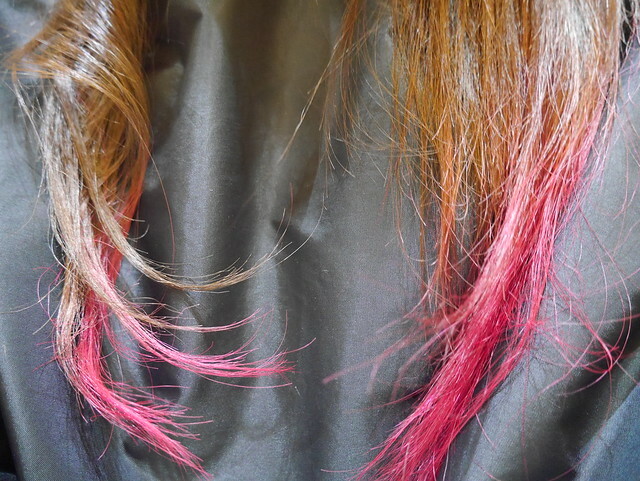 Chinese new year, you're gonna have a new look too! On a side note, do remember to make your reservations for Valentines day and Chinese New Year! 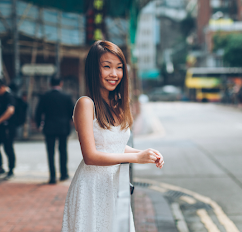 For now, I'm in Hong Kong, see you all soon!